These Pumpkin Chai Muffins are an amazing mouthful of Fall Flavor. Close your eyes as you take a bite of the pumpkiny goodness with a warm nudge of spices, and you can imagine that you are walking through beautiful autumn leaves on a crisp afternoon. (Actually, these muffins would be a wonderful treat after a bracing walk). 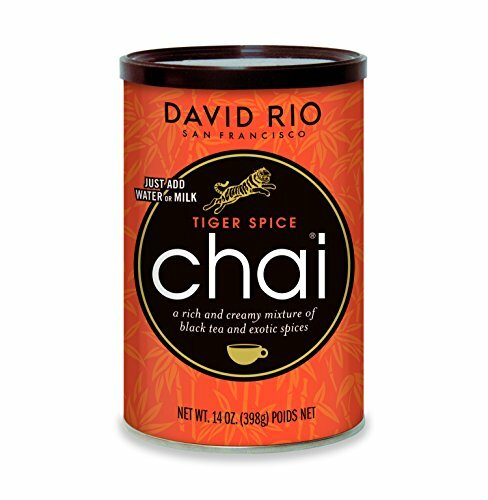 For those of you who don’t know, Chai is a spicy milky tea from India. Lately it seems to be served at every coffee place on every corner. It’s the hot new, hot beverage that tastes like melted Thanksgiving dessert (and I understand it can be served cold too…). 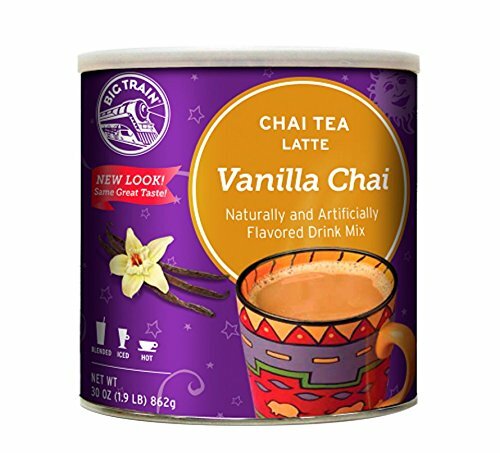 The flavors of Chai remind me of my favorite cold weather foods… cinnamon, cloves, cardamom, and ginger combine with tea to taste like the Holidays. Adding Pumpkin to the Chai spices seemed like a match made in flavor heaven, and I came up with these wonderful, fragrant Pumpkin Chai Muffins. 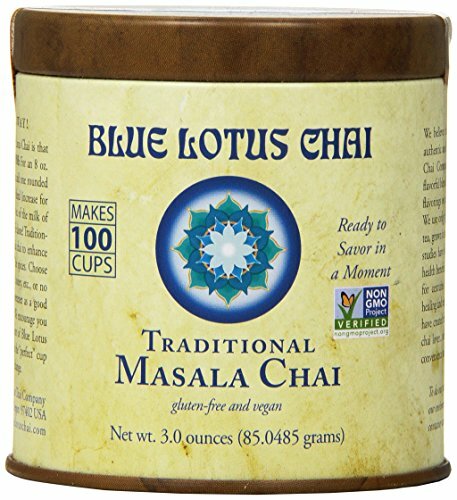 The combination of spices that makes up Chai may seem daunting, but don’t be overwhelmed. They can also be used for other baking. If you don’t like a strong spice flavor, you can cut the amount of spice in half. Also, I add white pepper… this gives a subtle kick, not a pepper flavor, more like a warmth that stays at the back of your tongue…. but you can leave it out. For simplicity’s sake used canned Pureed Pumpkin (don’t use Pumpkin Pie Filling, it’s different stuff), but if you want to use your own pumpkin puree made from scratch from the pumpkins you grew in the yard using heirloom pumpkin seeds handed down from Great Great Aunt Edna, feel free (the rest of us will roll our eyes at you for being such an over achiever as we try not to cut our thumb on the sharp edge of the pumpkin can). Easy to make, they are a delicious addition to your breakfast table or a great pick-me-up in the afternoon. Loaded with Fall Flavors, these Pumpkin Chai Muffins are certain to be a family favorite. Line muffin pans with 18 paper liners. Melt the Butter... I generally do this in a 4 cup Pyrex measuring cup in the microwave.... (this way I can mix other things into the cup later, and not dirty up an extra bowl). Let it cool a bit. In a large mixing bowl, combine the flour, baking powder, baking soda, the Cloves, Cinnamon, Allspice, Cardamom, Ginger, Orange Peel, White Pepper and Instant Tea Powder. Whisk it all together.... Don't go bananas, you want it thoroughly mixed, but you don't want to have to wipe down the cabinets. Once the butter has cooled a bit, add in the Vanilla Yogurt (yes, you can add plain yogurt... just make sure to add a spoonful of Vanilla Extract), the two eggs, the sugar and the Pumpkin. Mix it all up. Yes, I know it looks sort of gross at first, but it will smooth out.... just keep mixing. A whisk is good for this. Now... add the wet stuff to the dry stuff. Fold** it all together with a spatula. You want it mixed, but don't over- do it. **FYI- fold is where you scrape the spatula down the side of the bowl, and bring it up through the middle of the stuff, turning over the batter ingredients along the way. Rotate the bowl a quarter turn... repeat. Keep repeating until all is mixed together. Using an ice cream scoop with a thumb release (I can't tell you how much easier it it to scoop muffins this way... I scoffed at first too...) scoop the batter into the lined muffin pans. They should be about 2/3 full. Cool in pan for a minute or two, then take them out of the pan and cool on a rack. They taste yummy warm, but taste even better after an hour or two when the flavors had a chance to develop. Warning the crunchy sugar top isn't as crunchy the next day, it gets sticky. But, that's good too. The perfect thing to drink while eating Pumpkin Chai Muffins!